Fragrant flowers stand alone or grow on trees, vines and shrubs. These flowers are not only beautiful to look at, but have a timeless fragrance that envelopes surrounding areas, specially when carried by a gentle breeze. Fill a flower bed with different types of fragrant flowers and enjoy afternoons sitting on a bench nearby with a good read in hand, or arrange them in a container to add natural aroma indoors. Roses top everyone’s list of most fragrant flowers. Not only are they beautiful to look at, with blooms in different colors consisting of perfectly formed petals, they also have a fragrance that is timeless. Try "Double Delight" for a spicy, sweet fragrance, "Honey Perfume" for a spicy scent, "Elle" for a strong, citrus scent and "Midas Touch" for a musky, warm fragrance. Botanically called Lonicera fragrantissima, winter honeysuckle or bush honeysuckle is a shrub with colorful fragrant blooms. Growing up to 8 feet tall and 10 feet wide, it forms white, 1-inch-long flowers in the winter. It grows by seed, softwood cutting or rooting, and prefers a well-drained soil with full to partial sunlight. Hyacinth or Dutch hyacinth is a perennial flower that belongs to the lily family. It comprises flowers that bloom in spring and includes colors such as white, pink, red, yellow, orange and lavender. The funnel-shaped flowers appear on 10- to 12-inch stalks with narrow strap-like leaves. Depending on where you live, plant hyacinth in partial shade in the South, and full sunlight in the North. Dahlia or garden dahlia belongs to the Daisy/Aster family and is usually planted in containers. This fragrant perennial has several cultivars. 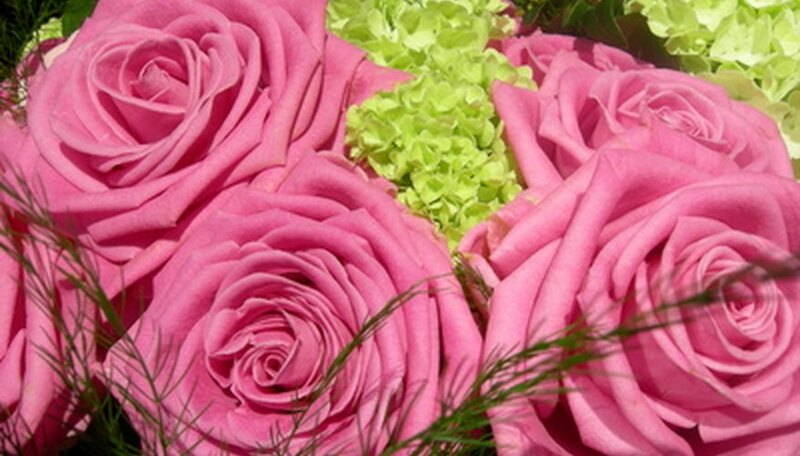 Blooms are bright and showy, between 2 to 10 inches wide and come in a variety of colors. This plant prefers moist, well-drained potting or garden soil and full sunlight. Botanically called Magnolia grandiflora, Southern magnolia or bull bay is a drought-resistant, fragrant, evergreen tree that can grow up to 90 feet high. It has a 2-foot-wide trunk with 5- to 7-inch-long glossy, green leaves. Eight- to 10-inch-wide white flowers appear in spring and summer and enfold the surrounding air in their fragrance. Southern magnolia grows in well-drained, acidic soils and prefers full sunlight to partial shade. Among the several cultivars available, festiva maxima and Sarah Bernhardt are the two popular varieties grown specially for their fragrance. These perennial flowers bloom in spring and are prized for their beauty, large bloom size, longevity and fragrance. Make sure you stake them to prevent springtime rains from laying them on the ground.